It’s rare to find someone as qualified for a job as Diane Mitsch Bush. The Steamboat Springs Democrat is seeking a third term in the Colorado House of Representatives representing District 26, which encompasses all of Eagle and Routt counties. 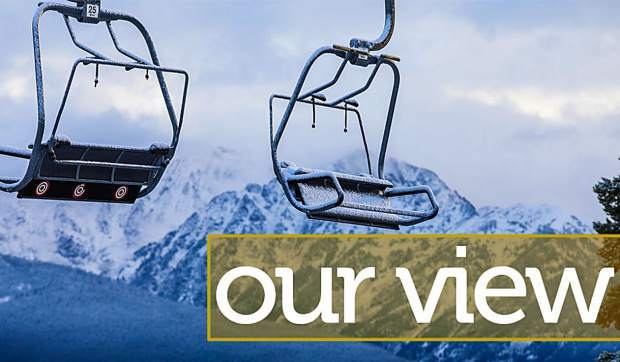 While the resort business is dominant in Eagle County, Routt County is more economically diverse, with agriculture, mining and the resort business all playing important roles. What’s common among all those industries is water. These two counties are the origin point of much of the water that flows both to the Front Range and many Western states. Understanding Colorado’s byzantine water laws, along with the multi-state compacts that govern rivers flowing west from the state, is crucial. Mitsch Bush understands the state’s water laws about as well as any non-attorney can. That alone would almost be worth an endorsement in this race. But with experience as a Routt County commissioner on her resume, Mitsch Bush also brings a wealth of knowledge on other subjects, from transportation to economic development. Mitsch Bush also points to her ability to work with Republicans. Of particular interest to local residents is the effort that she and Bob Rankin, a Carbondale Republican, have made to pass a bill requiring adequate tires on passenger vehicles driving the Interstate 70 mountain corridor. That bill would work almost exactly like a similar bill that applies to the trucking industry, but has been shot down in the last two sessions, primarily by State Sen. Randy Baumgardner, who sees the bill as an unnecessary addition to the state’s statutes. This isn’t the place to get into the pros and cons of the bill. Suffice to say, every town government and police agency along the I-70 corridor supports the Mitsch Bush/Rankin bill, along with the state’s lodging association, resort companies, the Colorado State Patrol and the Colorado Department of Transportation. It’s an important bill, and you’ll see more about it on this page in the coming legislative session. While Mitsch Bush earns our endorsement, no one is perfect. Many voters in the district have put her votes for three of four mostly worthless and needlessly divisive 2013 gun control bills on her permanent record. On the Republican side, challenger Michael Cacioppo has some good ideas. His idea to put season ski-resort housing on U.S. Forest Service property on and near those resorts has drawn much well-deserved praise. Cacioppo declined an invitation to participate in an endorsement interview with this newspaper — not a disqualifier, by any means. Cacioppo has also declined to participate in a number of public forums, alleging unfairness in the way those events are run and moderated. Unwavering devotion to principle is admirable in many ways, but can be counterproductive when it’s time to work in a group setting. In the end, Mitsch Bush’s known personality and qualifications make her an easy choice for another term.